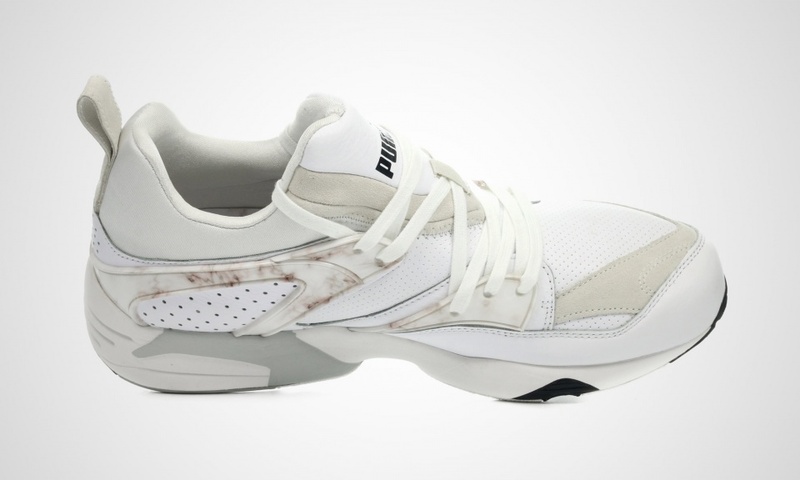 The Puma Blaze of glory gets fancy with some marble sections on this pearly white edition. 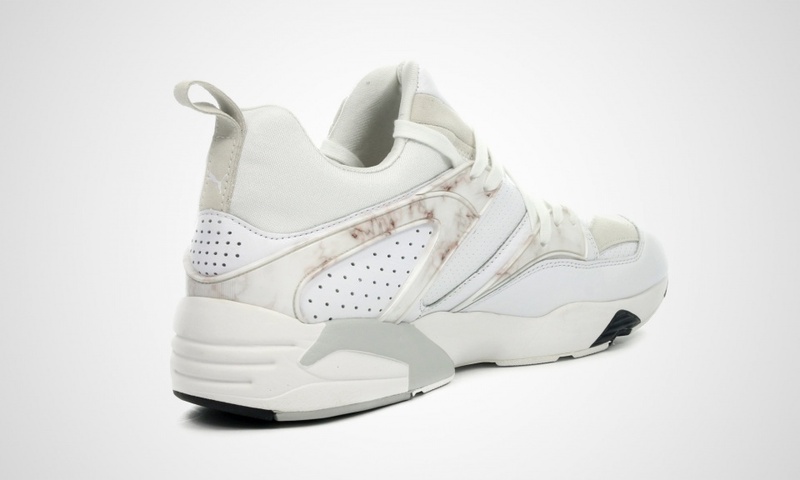 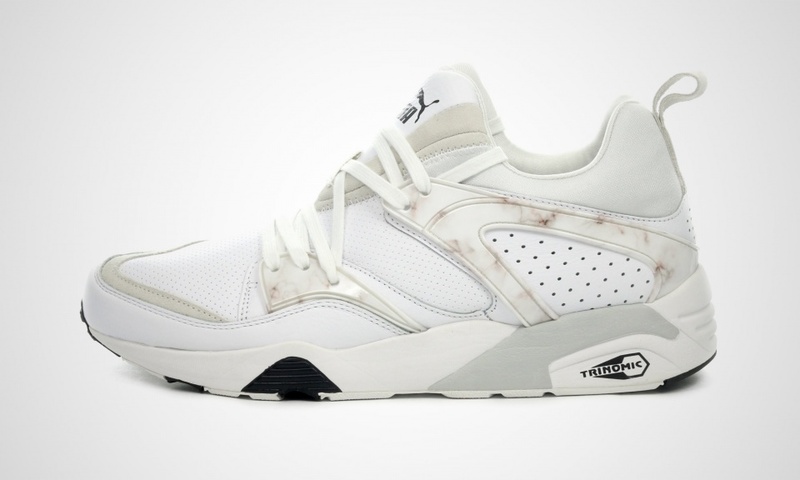 OK, this Puma Blaze of Glory doesn't have any real marble in it. 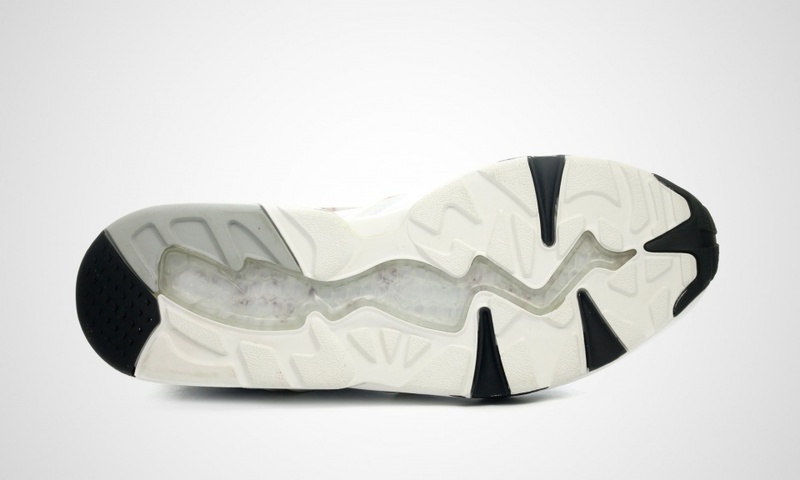 The truth is that that material would obviously render the shoe impossibly heavy if used to anything more than a sparing extent. 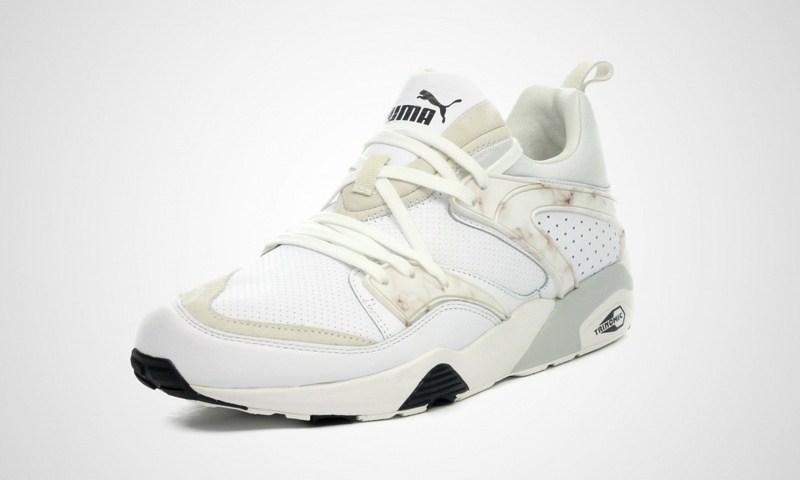 That's not to say that this Puma silhouette is afraid of going exotic though - don't forget that Sneaker Freaker once took the shoe to the edge of that realm with actual shark skin. 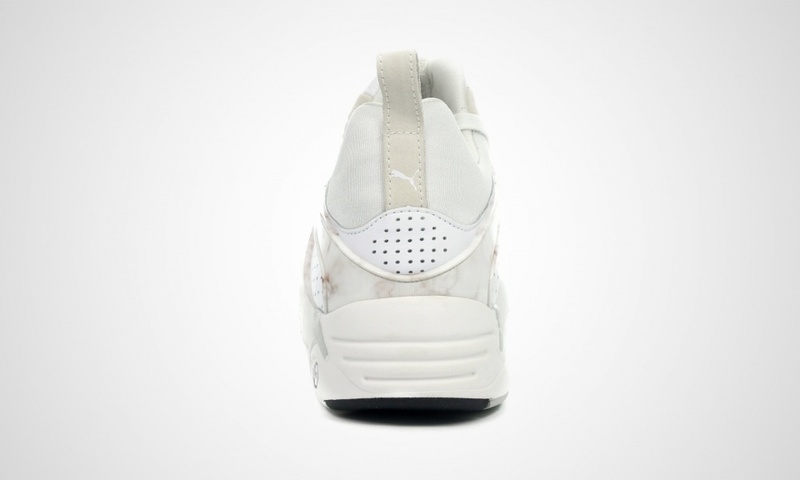 Other than the marble textures, this shoe has also got a generally pearly colorway that flips between cream and a more pure white. 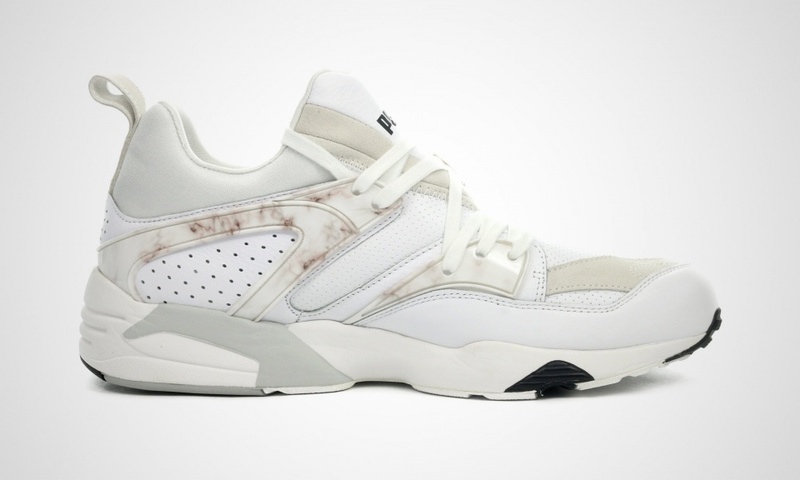 This Puma Blaze of Glory "Marble" can be found now at 43 Einhalb.